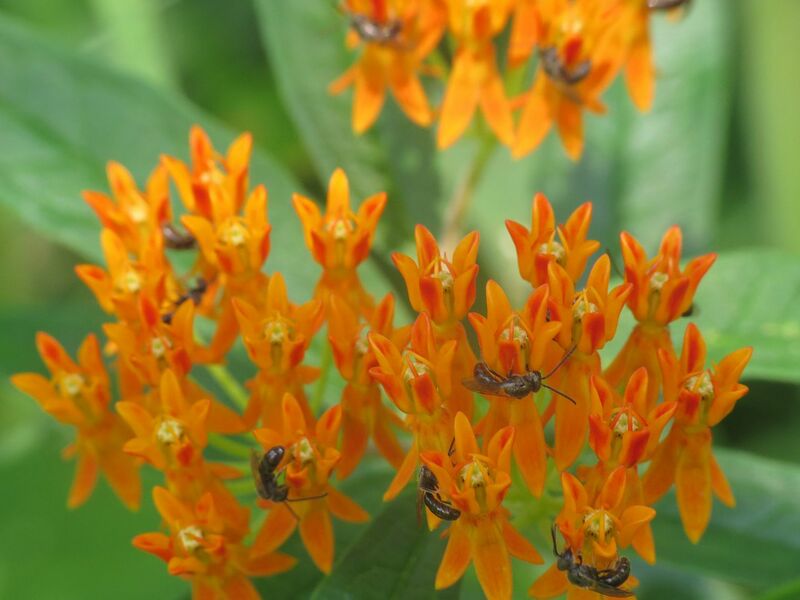 Biodiverse Gardens: A Swarm of Sweat Bees. Droves of Sweat Bees, Lasioglossum sp. 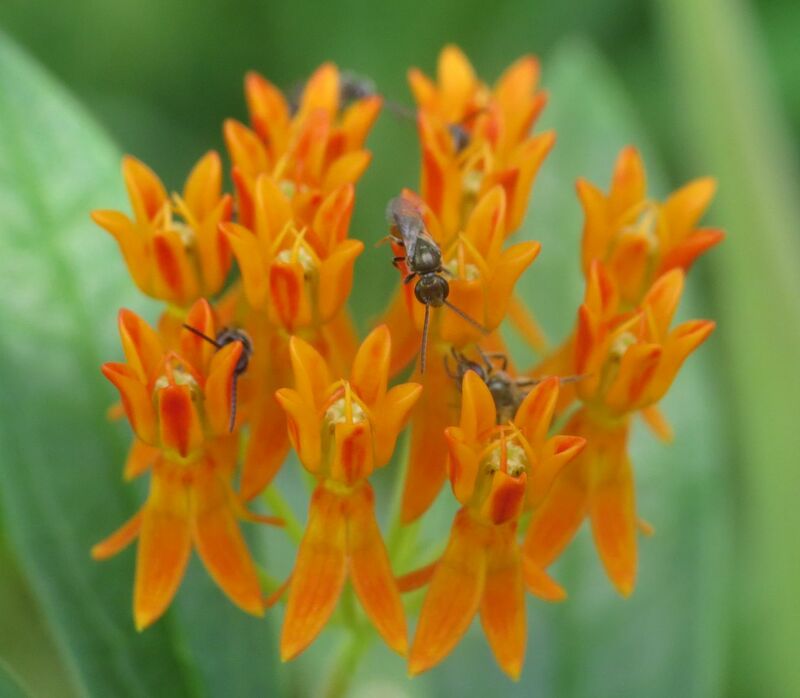 have been swarming over the Butterfly Weed the past week. I'm told these are pretty much all males to some species which all hang out on certain plants waiting for females to swing by. 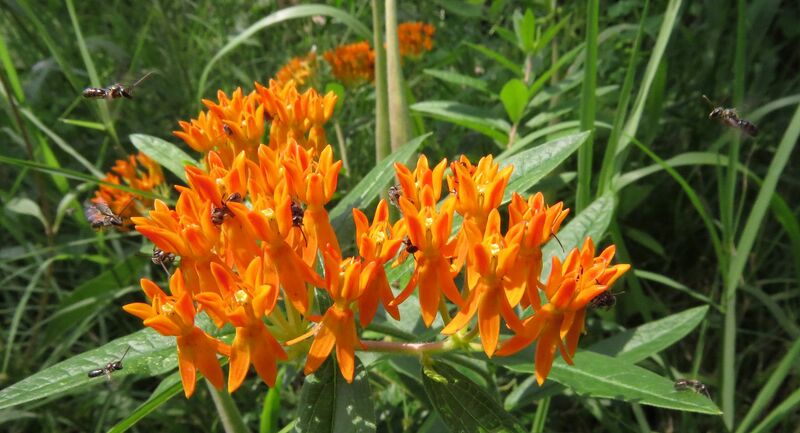 The result is dozens of male bees all pollinating a single flower, last year they were absolutely crawling over the Swamp Milkweed, Asclepias incarnata. And they're doing this to the point where I don't see any other type of bee working this plant now. Apparently this family of bees is very hard to identify to species level.